Kigali, Rwanda, 20 June 2014 – The International Gorilla Conservation Programme (IGCP) and Wildlife Friendly Enterprise Network (WFEN) announce the launch of the Gorilla Friendly™ Pledge, an awareness raising campaign developed to minimize the risk of disease transmission from human to gorilla, during treks to see these magnificent great apes in the wild. Launched to coincide with the peak gorilla trekking tourist season and Kwita Izina, the annual baby gorilla naming ceremony which takes place in Rwanda on July 1, Gorilla Friendly™ Pledge will serve to safeguard gorillas by minimizing the risk of disease transmission or behavioral change as a result of exposure to people. The Pledge outlines ten simple things that incoming gorilla tourists can do before, during and after their visit, including providing feedback on their experience. 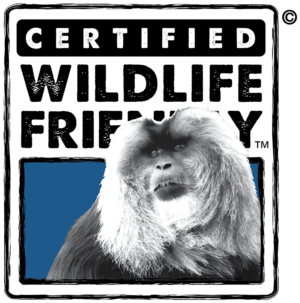 The content of the Pledge originates from existing visitation rules and regulations defined by the leading experts on great apes and outlined in the International Union for the Conservation of Nature (IUCN) Best Practice Guidelines for Great Ape Tourism and has been endorsed by a wide range of institutions and organizations. Identity, a corporate branding and web design firm with headquarters in Uganda, and DuPuis Group, a global design innovation firm, supported this effort by creating branding and billboards, which appear along airport exit routes in Kampala, Uganda and Kigali, Rwanda, directing incoming gorilla tourists to the online Pledge and website. The website and Pledge is currently featured in English, but will be translated in the coming months to multiple other languages. 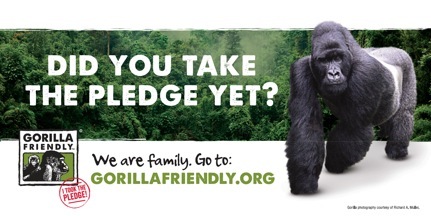 For more information or to take the Gorilla Friendly™ Pledge visit http://www.gorillafriendly.org. About the International Gorilla Conservation Programme (IGCP): IGCP was formed in 1991 as a coalition programme and has the mission to conserve the critically endangered mountain gorillas and their habitat through partnering with key stakeholders while significantly contributing to sustainable livelihood development. 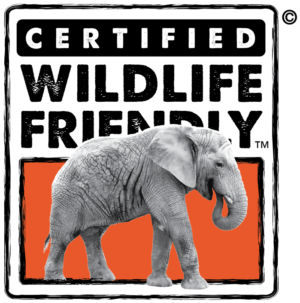 IGCP works in partnership with the Protected Area Authorities in the Democratic Republic of Congo, Rwanda and Uganda as well as with the private sector, civil society, local and national government, and other NGOs and actors. 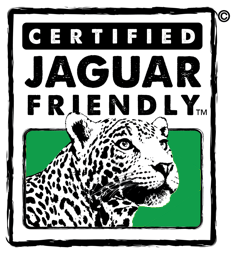 The current IGCP coalition is comprised Fauna & Flora International (FFI) and WWF. 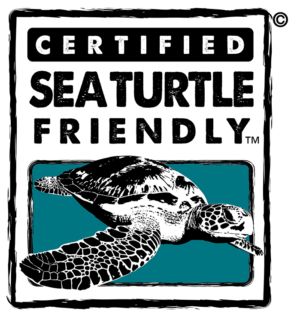 For more information, visit www.igcp.org. 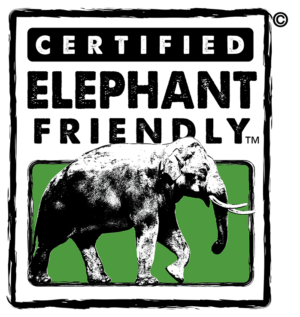 About the Wildlife Friendly Enterprise Network (WFEN): WFEN and its Certified Wildlife Friendly® and Predator Friendly® certification programs represent grassroots farmers, ranchers, artisans and conservation heroes from around the world including two World Bank Development Marketplace Award winners, a U.N. Equator Prize winner, leadership in the world’s marketplace for REDD+ Carbon Offsets, a Time Hero for the Planet, and a National Geographic Big Cats Initiative grantee. 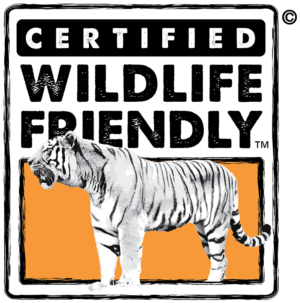 Certified Wildlife Friendly® products contribute to the conservation of over twelve million hectares of diverse wetlands, forests, and grasslands; protect keystone endangered speciesinAsia, Africa, and Latin and North America, including the Snow Leopard, Elephant, Cheetah, Spectacled Bear, and Wolf; and benefit over 200,000 people through increased food security, income and employment. For more information, visit www.wildlifefriendly.org.